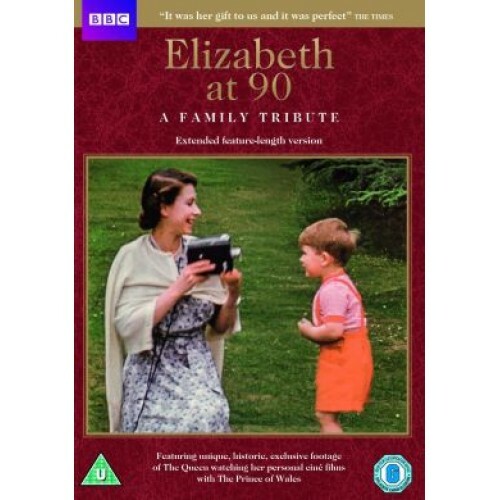 "A triumph from start to finish" is how The Daily Telegraph described this BBC One film to celebrate the 90th birthday of The Queen. The film-maker, John Bridcut, was given full access to The Queen's personal collection of ciné films, which he then showed to various members of the Royal Family, including Her Majesty herself and The Prince of Wales. As they watch this footage, in some cases for the first time, they discuss and reflect on various stages of The Queen's long life. Contributors include The Princess Royal, The Duke of Cambridge, Prince Harry, The Duke of Kent, Princess Alexandra, Lady Sarah Chatto, Queen Margarethe II of Denmark and Margaret Rhodes. This film captures the essence of family life at Windsor, Buckingham Palace, Sandringham and Balmoral in a way that is entirely different from all previous programmes about The Queen. "It was her gift to us", wrote The Times, "and it was perfect".